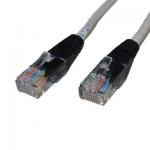 A range of Cat5e RJ45 UTP Ethernet Network patch, extension and crossover leads and cables. 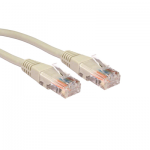 Category 5e cable is a twisted pair high signal integrity cable type often referred to as Cat5e. Most cables are unshielded, relying on the twisted pair design for noise rejection, some are shielded. Often used in computer networks such as Ethernet. 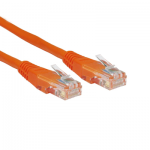 For more information on Network cables please have a look at our Network Wiring page in our Technical Library. If you can’t find what you’re looking for feel free to Contact Us, we’re always happy to help!